The latest release of statistics from the Toronto Real Estate Board shows a changing picture in GTA real estate, with a great variety in supply, demand and price depending upon the local area. 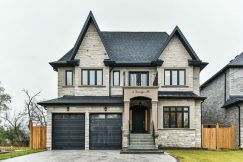 The report was released on Tuesday morning and the headline news was a 2% year-on-year decline in the average price of a GTA home and a sharp year-on-year drop (39%) in the number of sales recorded in the GTA. However, a closer look at the numbers shows that the overall view doesn’t paint a clear picture of what is happening in GTA real estate, with some areas remaining strong while others record declines. The average price of a home in the GTA, based on all resales in November, was $761,757 – a slight drop from the previous month and a 2% decrease when compared with November 2016. It ends two months of increases for the average price but is still above the numbers recorded in July and August this year when the market cooled temporarily following government intervention. In Toronto, the city actually recorded a 1.5% increase year-on-year. Peel Region is the GTA’s second biggest real estate market in terms of the number of sales and total dollar volume and it had slightly more positive news as the average price saw a 5.6% increase year-on-year. In York Region – the GTA’s third biggest real estate market – the average price was down 4.1% month-on-month and 5.4% year-on-year. 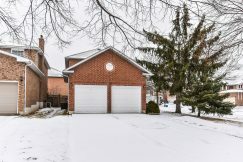 In fact, at $921,654 it was the lowest average price recorded in York Region since March 2016. There were 7,374 sales across the GTA in November – a 13.3% decrease from the number of sales recorded in November 2016. Unusually, however, there was an increase from October – a change that was observed in almost all regions. Traditionally, sales numbers drop as the fall real estate season ends and winter approaches, so this uptick suggests that confidence might be returning among some buyers or, as others have speculated, may be related to the mortgage qualification rules coming into effect in January 2018. 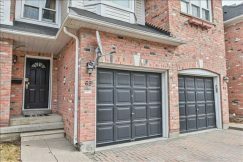 Interestingly, the year-on-year drop in sales changed greatly depending upon the region and was more dramatic in York Region, which saw a 39% decrease. Elsewhere, the numbers were somewhat different, with Peel Region (2% decrease) and Durham Region (4% decrease) noting small drops and Dufferin County recording an increase in sales (18.2%). 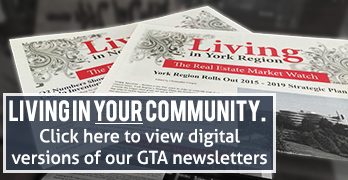 The composite benchmark price for the GTA was $744,700 – an 8.41% year-on-year increase. However, it was a drop of 9.3% from the record high that was recorded in in May 2017. For detached homes the benchmark price was $703,500, which is 4.04% higher than the benchmark price in November 2016 but 10.9% lower than May 2017. That pattern was repeated across almost all of the GTA, with the majority of areas recording year-on-year increases in composite benchmark prices, but notable decreases since May 2017 – a record-breaking month. The exceptions to the year-on-year increase were Burlington (-5.16%), Essa (-3.45%), Georgina (-1.45%), Markham (-1.35%), Richmond Hill (-1.76%), and Whitchurch-Stouffville (-7.44%), which all recorded drops. In terms of changes since May, the outliers were Toronto W01 (High Park-Swansea & Roncesvalles), Innisfil, Toronto C01 (Palmerston-Little Italy, Trinity-Bellwoods, Niagara & Toronto Islands) and Toronto W02 (High Park North & The Junction), which saw 9.71%, 2.16% 1.68% and 0.03% increases respectively. Since May, the benchmark for townhomes has increased in 16 areas. Once again, there have been areas with massive increases, most notably Toronto C09 (Rosedale-Moore Park) – 50.7%, Toronto C11 (Leaside, Thorncliffe Park & Flemingdon Park) – 37.1%, Toronto W03 (Rockcliffe–Smythe , Keelsdale-Eglinton West & Weston-Pellam Park) – 19.3% and Toronto E01 (Riverdale) – 17.5%. Similarly, 34 out of 47 areas have seen the benchmark price of apartments rise by more than 25% year-on-year and 28 of those areas have recorded increases since May 2017. Once again, areas within Toronto account for most of the increases, with the city providing all but three of the areas that have recorded increases since May. The increase in listings has resulted in growing inventory in many areas. York Region now has 2.5 months of inventory, with specific areas such as King (4.1) and East Gwillimbury (3.9) showing notably higher inventory. Elsewhere, Brock (3.0), Innisfil (3.9), and Toronto C12 (3.0) showed the kind of inventory levels that many would associate with a balanced real estate market. At the other end of the scale, the low inventory in much of the City of Toronto shows why demand is still high there. Toronto E01 (Riverdale) had just 0.9 months of inventory; Toronto W02 (High Park North & The Junction), Toronto C10 (Mount Pleasant East), Toronto C11 (Leaside, Thorncliffe Park & Flemingdon Park), and Toronto E02 (The Beaches) all had 1.1 months of inventory; and Toronto W01 (High Park-Swansea & Roncesvalles), Toronto C01 (Palmerston-Little Italy, Trinity-Bellwoods, Niagara & Toronto Islands), and Toronto C08 (Cabbagetown, Moss Park, Regent Park, St Lawrence & East Bayfront) had 1.2 months of inventory. Another sign of changing conditions is the average number of days that houses are listed for. 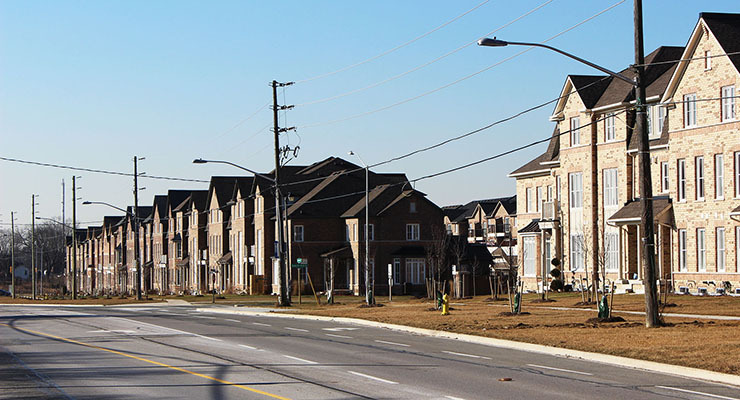 Notably, in some areas on the edges of the GTA, there are averages that are approaching the norms for a balanced market: Scugog – 42 days, Essa – 45 days, and Uxbridge – 46 days. However, in many parts of Toronto, homes are still being snapped up quickly and the average number of days on market is only slightly higher than during the hot market conditions at the start of 2017. TREB divides the City of Toronto up into 35 geographic areas and 12 of these recorded an average DOM of less than 20. The lowest averages were: Toronto E01 (Riverdale) – 12 days, Toronto E03 (Danforth & East York) – 13 days, Toronto E02 (The Beaches) – 14 days, Toronto C04 (Lawrence Park & Bedford Park) – 16 days, and Toronto W07 (Stone gate-Queensway) – 16 days. Outside of Toronto, the only area where the average number of days on market was less than 20 days was Brock (19 days). As you can see from the statistics above, not all things are equal in GTA real estate. There are areas where demand appears to have dropped, while supply has increased – creating favourable conditions for buyers and a more balanced market. However, in other areas, particularly in the City of Toronto, there is still huge demand, a shortage of supply, and increasing prices as a result. We have said it before on this blog: real estate is inherently local, and that is certainly the case with current market conditions. So how do you navigate a market like this? Your best bet is to contact a registered GTA real estate agent, who has experience, knowledge and access to information about your area – all of which can help you to make the best real estate choices. To get in touch with a Living Realty agent today, just enter your details in our online contact form.